Known for their philanthropy, the Peckovers were concerned with various causes and campaigned for the abolition of slavery, pacificism and improvements in education. This remarkable family of Quakers began its association with Wisbech in 1777, when Jonathan Peckover moved to Wisbech from Fakenham, Norfolk, to establish a grocery business. Peckover House was gifted to the National Trust by Alexandrina Peckover in 1943. Jonathon was the son of Richard Peckover, a merchant and informal banker who died aged twenty-seven, two years after Jonathan’s birth. Jonathan was the second of four children, the others being Joseph, Jane and Edmund. Joseph, the eldest, remained in Fakenham to manage the family interests, later establishing the Fakenham Bank in 1792 as local partner to Gurneys Bank of Norwich. Jane married Richard Harris of London, a seedsman and corn trader. Whilst Edmund, a wool dealer, moved to Bradford, where he eventually established Peckover, Harris & Company, otherwise known as the Bradford Bank, in 1803, with his nephew Charles Harris. Having moved to Wisbech, Jonathan soon gained the respect of local trades people and was soon trusted to look after their money; and following in family tradition the Wisbech & Lincolnshire Bank was formed in 1782, in partnership with Gurneys Bank, and remained a family interest until 1894. The bank later merged in 1896 with a number of other private Quaker banks, to form Barclays Bank. 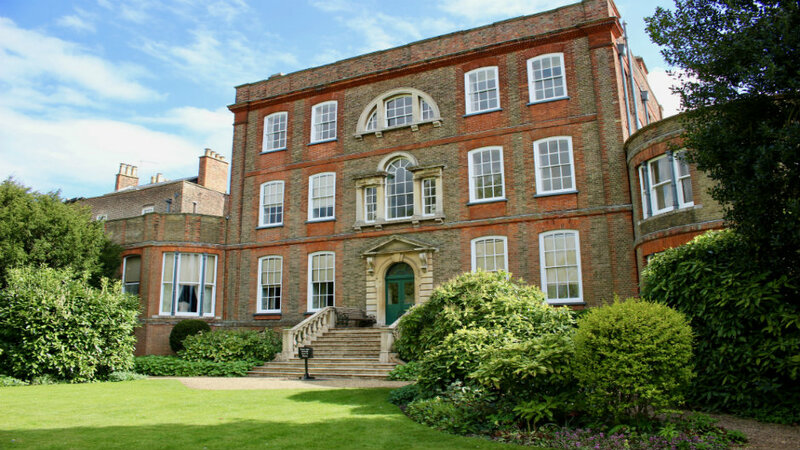 Jonathan and his wife, Susanna Payne, married in 1789 and in 1794 they moved into, what is now known as Peckover House – but was then known as Bank House; as it was from here that Jonathan conducted his business. Their two sons William, born in 1790, and Algernon, born 1803, both joined the family business and oversaw its growth into a solid bank. Outside of banking interests they were responsible for the development of much of the current North Brink of the town, later described by the Sir Nikolaus Pevsner as one of the finest Georgian brick streets in England, with William undertaking the construction of the impressive step-gabled properties, including Wisteria House, under the supervision of his brother. Indeed it was Algernon, displaying his talent as a keen amateur architect and artist, who remodelled the pre-existing Sibald’s Holme House, his own family’s home and previously owned by Sir Philip Vavazor; and designed Harecroft House (now Wisbech Grammar School) for his son Alexander to live in, as well as the Quaker Society of Friends’ Meeting House. He was also responsible for the design of the Wisbech & Fenland Museum in Museum Square, which he greatly invested with artefacts. William remained a bachelor throughout his life and remained at Bank House until his death in 1877. Algernon married Priscilla Alexander, the daughter of an Ipswich banker, and moved into Sibald’s Holme, which he had had greatly extended just prior to his marriage in 1828. They had eight children: Alexander, Susannah, Priscilla Hannah, Jonathan, Jane, Katherine Elizabeth, Algerina and Wilhelmina. However only Alexander and Katherine Elizabeth ever married; and with Katherine Elizabeth dying soon after her marriage, it was left to Alexander to continue the family name. Unfortunately Alexander’s wife, Eliza Sharples, died in 1862 after only four years of marriage and left Alexander with three young daughters; Elizabeth Josephine, Alexandrina and Anna Jane. 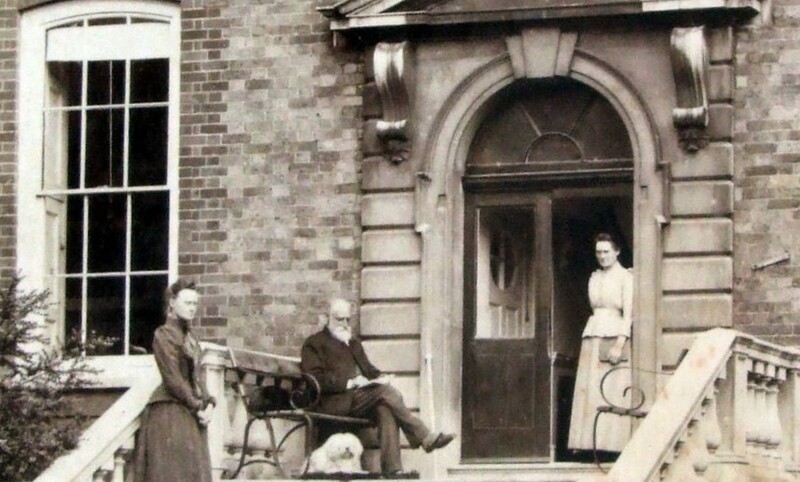 They continued to live at Harecroft House until his uncle William died in 1877, after which they moved into Bank House; along with Alexander’s sister Priscilla Hannah, who helped to bring up the young daughters. Alexander never re-married. Only one of Alexander’s daughters married – Elizabeth Josephine married James Doyle Penrose, the Irish artist and had four sons: Alexander Peckover Doyle Penrose (A P D Penrose), Sir Roland Algernon Penrose CBE, Professor Lionel Sharples Penrose and Lt Commander Bernard Edmund Penrose RNR. Algernon Peckover died at Sibald’s Holme in 1893. His wife Priscilla having pre-deceased him ten years earlier, and the banking business fell under the control of Alexander, who eventually retired from the business in 1894 and devoted his time to meteorological studies and the collection of ancient manuscripts. In 1896 he was appointed Lord Lieutenant of Cambridgeshire, a position he held until 1906; and he became the 1st Baron Peckover of Wisbech in 1907, a title which died with him in 1919. Algernon’s second son founded the Wisbech Social Club and Institute in 1864; with the aim of providing the working classes with an educational and recreational facility to protect them from the temptations of alcohol and other harmful influences. 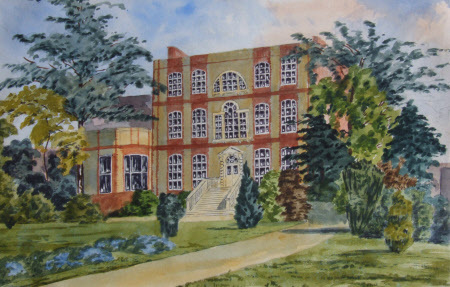 Jonathan died aged 47, in 1882, but the Institute that he created still exists today. Priscilla Hannah Peckover was another notable member of the family. She was a highly regarded water-colourist (like her father), linguist and pacifist. She was active with the ‘Peace Society’ and other peace associations, travelling widely to their conferences. She edited the journal ‘Peace and Goodwill: A sequel to the Olive Leaf’ for some fifty years, and with her sister Algerina, funded the publication of The Bible in ‘Esperanto’. She was nominated for the Nobel Peace Prize four times, in 1903, 1905, 1911 and in 1913. Priscilla Hannah died at Wisteria House in 1931, at the great age of ninety-seven. 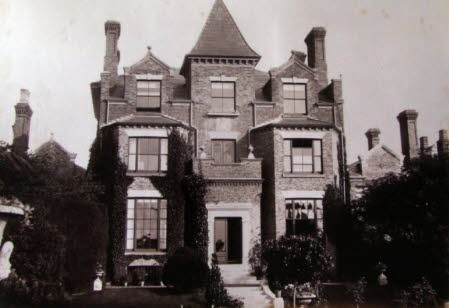 Algernon’s family lived in Sibald’s Holme for almost a century; the last, Algerina, dying there in 1927. With no longer a need for such a large property, the house and its eighteen acre estate was parcelled up and auctioned for development; the house being divided into two. It was with Lord Peckover’s daughter, the Honourable Alexandrina’s encouragement that her nephew, A P D Penrose, formed a committee in 1938 to discuss the idea of forming an amenity society for Wisbech with the aim of preserving its architectural heritage. This led to the inaugural meeting, on 17th March 1939, of the Wisbech Society & Preservation Trust Limited where A P D Penrose became the Wisbech Society’s first chairman, and the Hon. Alexandrina Peckover its first president. The last Peckover, the Hon. 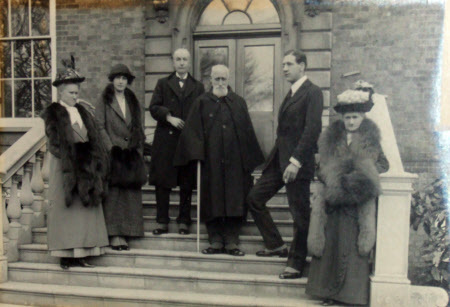 Alexandrina, died in 1948 at Peckover House; ending the long and distinguished link between the Peckovers and Wisbech. Peckover House was gifted to the National Trust by Alexandrina in 1943, however she continued to live there until her death. Far from being extinguished, the Peckover line continued through the Penrose family and its distinguished members. 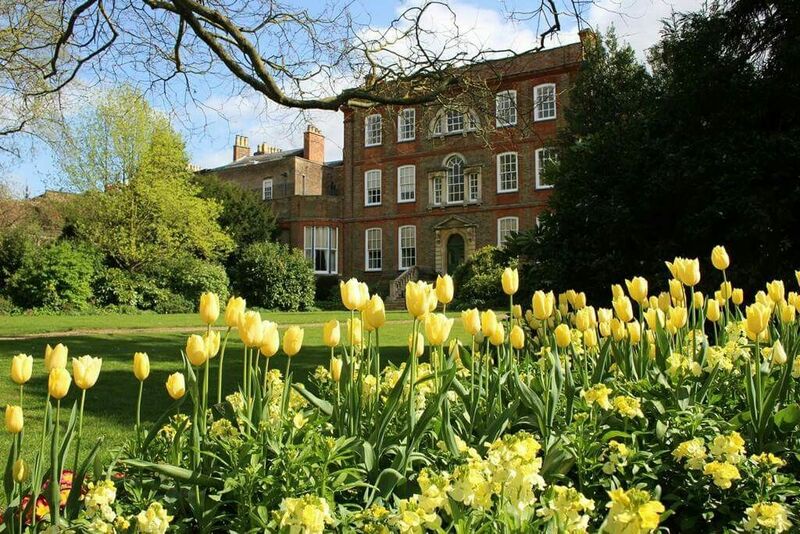 Peckover House is a secret gem, an oasis hidden away in an urban environment, find out more information by clicking here.